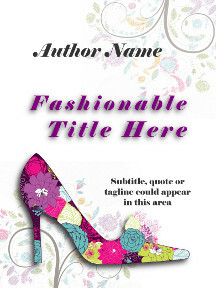 Fashion floral shoe with soft leafy background. Colors: bright pink, turquoise, lime, purple. 1. Submit payment using the Buy Now button and complete the purchase. 2. Complete the form below to submit your personalization information. We’ll contact you as soon as possible with any questions and/or details about how soon you’ll receive the jpg cover file via email. Thank you!